The cinema has a library of reference books, which has been growing slowly over the years. All the books can be borrowed by the inhabitants of the village where we’re situated. We’ve discussed how to develop the library, and have looked at for example the work of seedbanks to come up with ideas (seedbanks lend you seeds, you plant them, grow something, then bring new seeds back to the bank the next year). Some of our books, like Restoration Agriculture by Mark Shepard and The Resilient Farm And Homestead by Ben Falk, have discussed the replacement of annual crops with chestnut trees. Their arguments sound sensible, especially as trees are longterm traps for carbon dioxide. Edible chestnuts have a hard time in most of Sweden, but here in the south there are many trees to be found – next to the entrance of Malmö Konsthall for example – and they also manage to produce nuts. We found a tree just north of Höganäs which has survived for almost a century, and which also produces nuts of an OK size (most of the other trees we looked at had chestnuts the size of seeds). We left some of these chestnuts in a plastic bag in the fridge and forgot about them until springtime. By then they had all started sprouting. We now have around fifty plants of edible-chestnut trees, to give away to visitors of the cinema. They’re on the shelves of the library, and if you take one home and plant it, you can bring us back a chestnut in five years time. We’ll be here, probably working on a new five year plan. 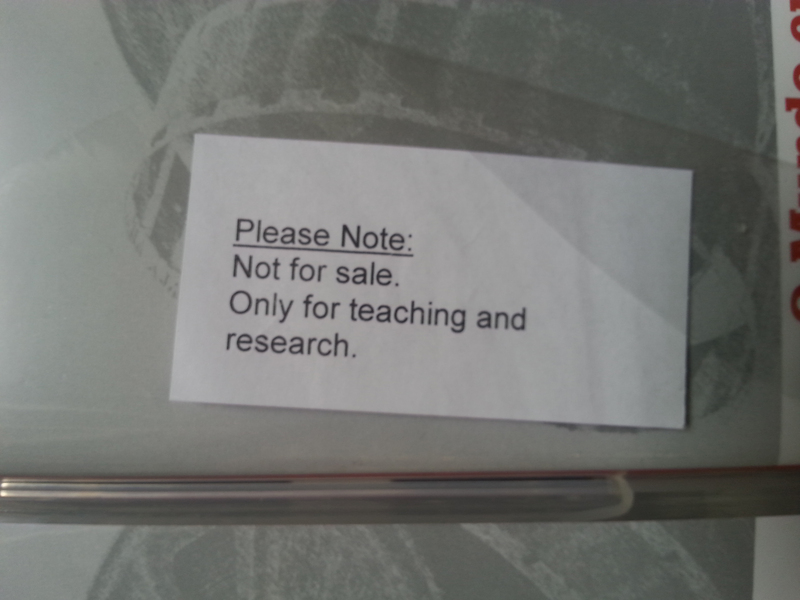 As we are now officially registered as a non-profit organization, our reference library has been able to include DVDs to be used for research and educational purposes, that is, DVDs donated or sold only to institutions. Visitors to the library can’t borrow them home, but you can watch the films on site, for research purposes. Four DVDs were donated by the University of Bayreuth, with many thanks to professor Ute Fendler and her associates. 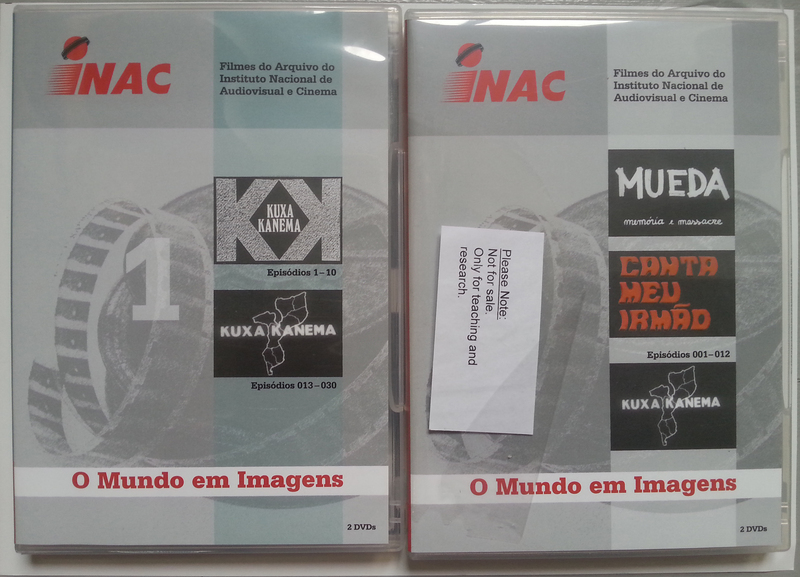 They contain (among other things) 30 episodes of the Kuxa Kanema newsreels, made in Mozambique during the 1970’s. 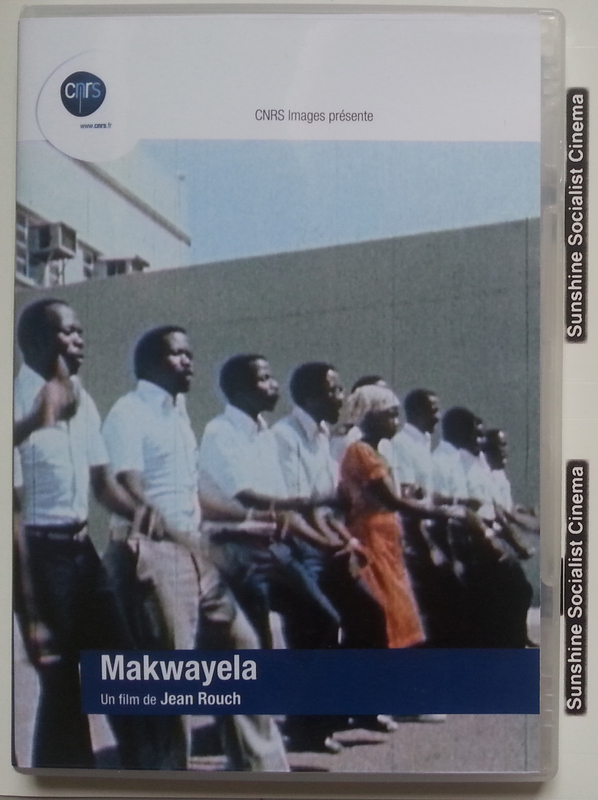 We have also managed to aquire a DVD of the film Makwayela, made by visual anthropologist Jean Rouch and cultural attaché Jaques D’Arthuys. The film was recorded outside a factory in Maputo in Mozambique in 1977. Parts of the dialogue are in Portuguese, and we are at the moment trying to get those translated into English and Swedish. Other parts of the dialogue are in Fanakalo, “a secret language, created from Zhangane, Zoulou and English passed on from generation to generation”, according to the distributors, CNRS Images. The Fanakalo we will not attempt to translate, it is probably meant to remain secret. The DVD is for institutional use only, but we have also aquired a license to screen the film in our cinema as part of the program for the coming season. The reference library that we’ve started up in the village of Hoja is set for a larger presentation next summer. Plans have been drawn for an unfolding structure to host the books on a shelving system, to be constructed this winter. 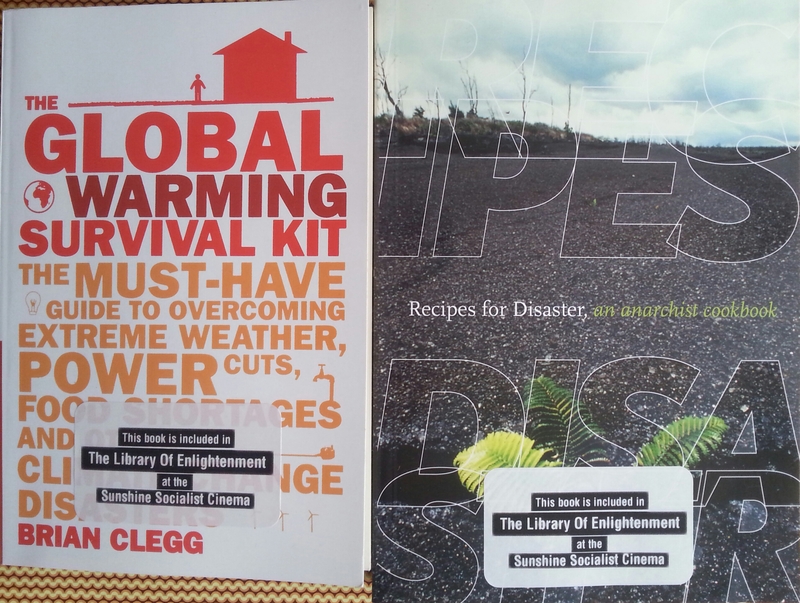 We’ve also started to receive donations of books, from both organisations, publishers, and private persons. 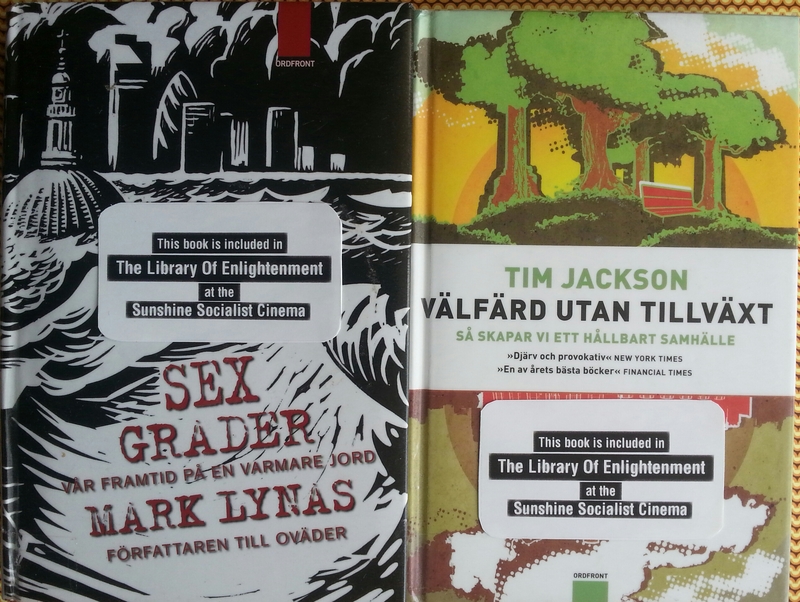 A number of books come from ABF, the workers educational association, organisers of study groups all over the country, and hosts of the annual Socialist Forum in Stockholm. 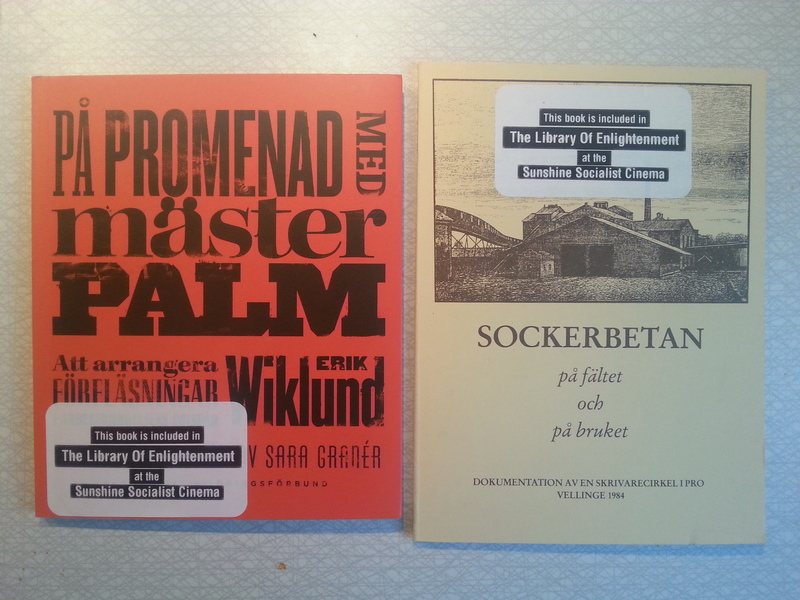 Above left: Pa Promenad Med Master Palm by Erik Wiklund, illustrated by Sara Granér – on how to organise public talks, debates and roundtable discussions before an audience. Above right: Sockerbetan Pa Faltet Och Pa Bruket – documenting a studygroup on sugarbeets (one of the more common crops in our region). 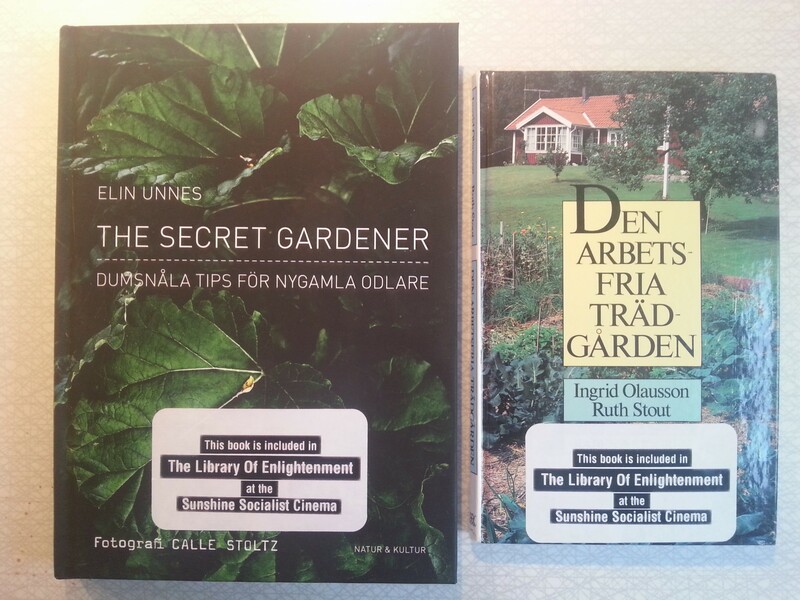 Above right: The Secret Gardener by Elin Unnes – on smallscale self sufficiency from an allotment. Above left: Den Arbetsfria Tradgarden by Ruth Stout and Ingrid Olausson – on a workfree garden through mulching. Some of these have been easy to find, others more difficult. 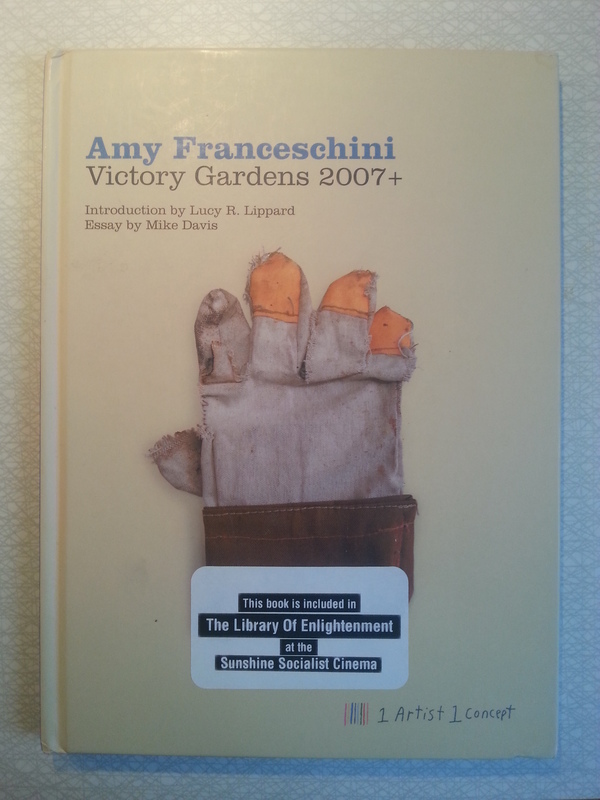 Victory Gardens, which documents an art project by an old friend of ours, Amy Franceschini from San Francisco, seemed to be rare and, if available at all, prohibitively expensive. 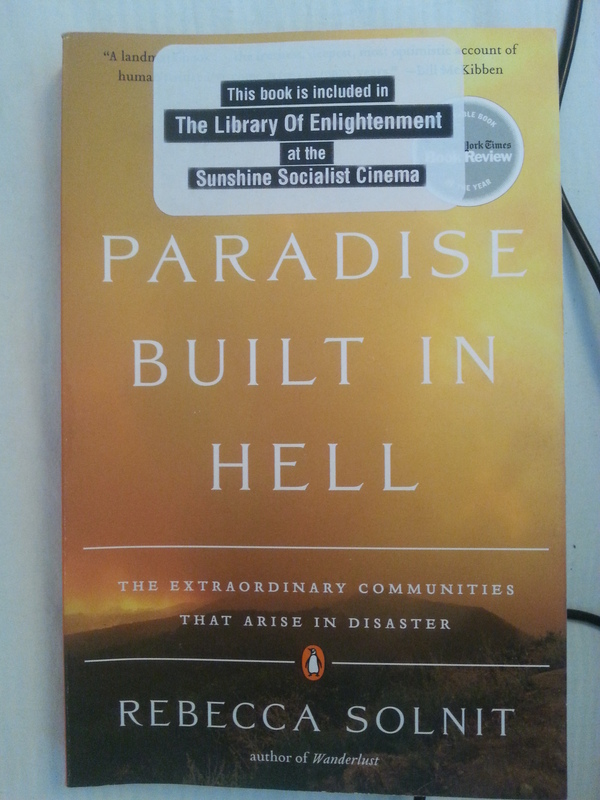 But when arranging a talk last week, for the Living Archives project in Malmo, we were presented with this book as a donation to our library, from producer Veronica Wiman. A heartfelt thank you goes out to organisations, publishers, and private persons who’ve provided both tips on essential reading and donated books for the library.